Coffee is notable for probably being the go-to drink of choice for working people. Whether you're in something horrible like the financial services industry, or you're a geeky programmer or asset creator in the gaming industry, you're drinking coffee. In the morning. In the afternoon. ...In crunch time late at night. Companies offer huge varieties of FREE COFFEE FLAVOURS acting like it's some kind of nice benefit and favour to their employees. 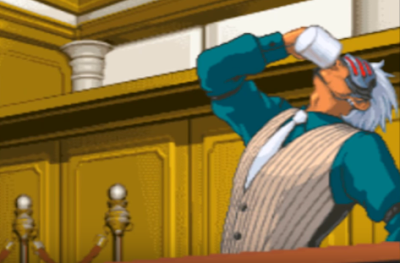 There are even tales of some in the legal industry drinking up to seventeen cups of coffee in the span of a day's legal proceedings. Sometimes when people are trying to be “random”, or they're under pressure, they look to their surroundings for inspiration. Or, their mind was earlier influenced by something. With coffee so ubiquitous in working environments, this may explain why there's a lot of coffee-related content in games. What I can't explain are its many associations with weird trippy themes, like EarthBound or Deadly Premonition. Perhaps a coffee drinker can. Now, consider this: Coffee appeared as a food item in Kirby Super Star. Later, the Kirby Café existed. They served a lot of Kirby-themed edibles there, but presumably also... COFFEE. I can't tell if this is coffee or tea. Sometimes, coffee's greatest enemy, tea, makes appearances in games as well. The best example is Koopa Tea from the first three Paper Mario games. 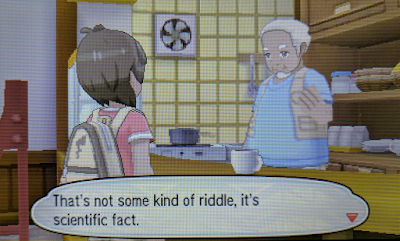 It's the best example because it's only one syllable away from being KoopaTV. Be it coffee or tea, these consumable liquids have the same effects in gaming: Restoration of health or energy. 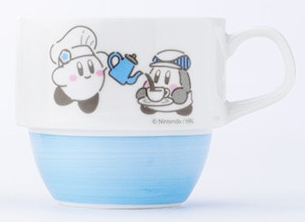 A cup of tea also appears as a food item in the Super Smash Bros. series, which is a curious thing because you would think they'd just copy what was in Kirby Super Star. You know what else is curious? That White House press secretary Sean Spicer is pretending that “covfefe” is a legitimate inside joke among the President's administration, and that inside jokes should be tweeted out to everyone. Then again, we do that on our own Twitter timeline. Go Follow us @TheREALKoopaTV! KoopaTV would greatly appreciate you, the readers, submitting actually good requests for KoopaTV's writers to write about. You can do so by commenting here. This way, Ludwig isn't at the whim of whatever garbage Rawk thinks will get views for the day. If you have anything coffee-related, you can talk about it in this comments section, though Ludwig's legitimately disinterested in the topic. However, if you can tell him how to tell the difference between coffee and tea in pictures like the Kirby mug, he'll greatly appreciate it. Important reminder that the ceramic KoopaTV mug exists! It makes for an amazing gift, even for people who wouldn't drink from it! Be sure to watch for the surprise guest appearance at the end! Tap water still remains my main go to refresher in the morning, but I will have a cup occasionally on the weekends. If it wasn't for coffee creamer, however, I would never be able to drink coffee plain. I read this as... Tapu Water. I see no mention of Hawke and black coffee. Hey, gotta leave some examples for the audience.